There are roughly 220 official currencies recognized by the UN today; some of those currencies are traded on a market called the Foreign Exchange, or Forex. While the stock market may routinely move billions of dollars of wealth in one day, Forex moves trillions. Therefore, it would be easy to see why any savvy investor would want to allocate resources to Forex trading. One of the benefits of Forex trading is that if the trader’s own economy experiences a decline, that trader might still continue to profit from assets exchanged on Forex, as it is not correlated to any stock market index. Additionally, Forex is a 24-hour global market run electronically through different banks around the world rather than centrally controlled, and this decentralization can add another layer of convenience and economic protection to your investments. Imagine you live a little town called Houlton, Maine, close to the Canadian border. Let’s say that payday rolled around on Friday and you decided to take 100 American dollars across the border into Canada to see how far it would get you. If you want to spend that money in Canada, you’ll need to exchange it to Canadian currency at the bank. The exchange rate that Friday was 1.28, meaning, every Dollar in US money was equal to $1.28 in Canadian money. You step across the border feeling lucky, since you just made $28! Let’s say a moose was obstructing the road about a mile away from the border, and you decided to turn around and go back to the US. Once you exchange your money back into US currency, you would be stuck with your original crisp $100 bill and nothing more. However; imagine you stayed with relatives in Canada for a whole week, didn’t touch the $128, and in the meantime the exchange rate went from 1.28 to 1.18 (a decline of 10 “Pips” in trading terminology). In converting your $128 Canadian dollars back to USD a week later at an exchange rate of 1.18, you end up with $108.47 USD, giving you a total profit of $8.47 just for exchanging foreign currency. Forex allows you to do that from anywhere in the world with an internet connection, in your pajamas if you like, due to its 24-hour market presence, all without involving a single moose. It can take quite a bit of research to stay on top of events and indicators in multiple countries, but luckily Forex narrows down the focus to pairings of heavyweight currencies such as the Euro, USD, and the Yen, for example. 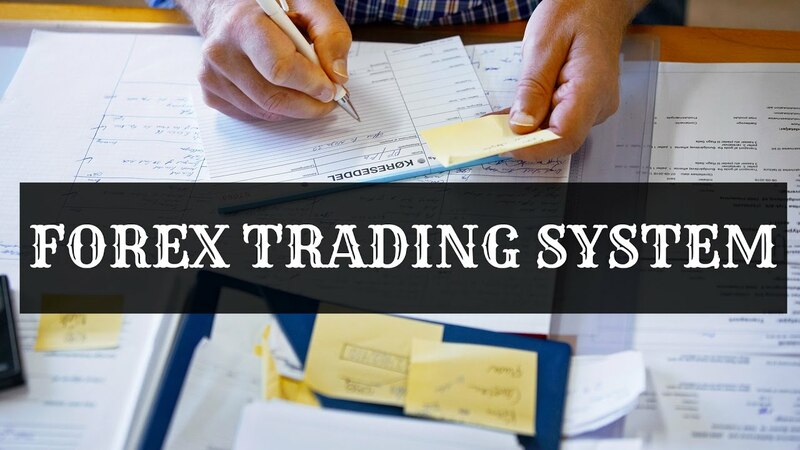 There are seven popularly-traded pairings upon which most investors focus, but even narrowing down the field this much still requires execution of a careful forex trading system strategy. To begin with, you’ll need a fool-proof plan for your initial asset allocation so that a loss in one market doesn’t wipe out your account overnight. Once you have a good mix in place, you’ll need to monitor events and indicators on a routine basis (some suggest 3-4 hours per day, on par with a part-time job) to ensure your nest egg continues to grow. It’s also important to have some rules in place for what threshold indicators cause you to choose to trade, how you manage risk, and how to reach your long-term goals. You’ll also need to evaluate various strategies on a regular basis to ensure they are still the most profitable to utilize. Forex is not a get-rich-quick scheme, but can provide any investor with a steady return on investment if they are willing to complete routine account maintenance, research, and planning.